By the second century B.C., Jews were becoming increasingly Hellenistic. Some even turned away from the most basic of Jewish distinctives such as circumcision and food traditions. The literature of this period are not evangelistic tracts, they are aimed at the Jewish considering further Hellenization. A text like the Letter of Aristeas is aimed at keeping the young men from leaving their ancestral faith altogether! It is for this reason that characters from the Hebrew Bible like Joshua, Phineas, Levi and Simeon become popular – they fought back against assimilation with violence! 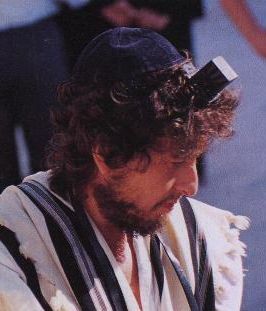 To survive the exile, the Jews re-emphasized their religious traditions as embodied in the Torah. John Collins emphasized the following four key elements: Monotheism, Revelation, Election, and Covenant. Monotheism and Revelation are not good boundary markers (you have a God who reveals himself to you, so does everyone else!) All of the Jewish literature of this period clearly accepts as foundational : “God is One” and the Torah is his revelation. Election and Covenant can be boundary markers. You can adequately define who was elected to participate in the covenant, who is “in” and who is “out” of the covenant. Most of the literature of this period asks this sort of question – in 1 Maccabees it is Sabbath, Circumcision and dietary Laws which are clear boundaries. In Jubilees, 1 Enoch and Qumran literature proper calendar is included as a boundary marker. In Sirach it is a life of wisdom that marks out the elect. E. P. Sanders’ conception of Second Temple period Judaism under the rubric of “covenantal nomism” is an application of these last two emphases. Election is what gets one into the Covenant, if you are Israel then you are “in.” What is it that maintains that relationship with God is the performance of the boundary markers: circumcision, Sabbath and food laws. How does this impact Pauline theology? When Paul says “works of righteous,” the New Perspective on Paul hears “boundary markers,” not Torah. The traditional view would hear “The Whole Law.” Dunn uses Galatians 3:10-14 as a “test case” (“‘Works of the Law’ and the ‘Curse of the Law,’” pages in 215-36, Jesus, Paul and the Law). A traditional reading of this text would understand the statement “everyone under the Law is under a curse” in the light of the book of Deuteronomy and the curses and blessings. Not so, says Dunn, the “works of the Law” here ought to be read in the context of Galatians, circumcision and food traditions. These are the very things that make up the “boundary markers” of Second Temple Judaism. Michael Cranford has argued that the “works of the Law” as ethnocentric boundary markers ought to be applied to Romans 4 as well (“Abraham in Romans 4: The Father of All Who Believe,” NTS, 41 , 71-88). Rather than a polemic against the whole Law, Paul is stating that Gentiles who are “in Christ” cannot take on the boundary markers of Judaism. Does this mean that the New Perspective sees Paul as embracing the Law for Christians? Not really, it would seem strange to say that Paul was rejecting the boundary markers as unnecessary and dangerous, but embracing keeping the Torah. These things are not Pharisaical traditions added to the Law (the types of things that Jesus reacted against, for example). They are at the heart of what it means to be a Jew in the Second Temple period. New Perspective writers are emphasizing what Paul emphasized, that one’s status in Christ is what matters, not keeping traditional signs of separation. Dunn’s view of “works” in Romans 4 as nationalistic boundary markers has not gone unchallenged. In a recent monograph (Paul and Judaism Revisited, IVP 2013), Preston Sprinkle summarized the problems with reading ethnocentric boundary markers in Rom 4, although he interacts mostly with Cranford’s 1995 article. Sprinkle argues that Paul’s use of “works” in Rom 4 refers to obedience in general, rather than the boundary markers (p. 153). For Sprinkle, the metaphor of wages/reward does not really work if the “works” are limited to the ethnic boundary markers. Sprinkle may be correct, but it may be possible that the ethnic boundary markers are in view in Galatians but not in Romans. In summary, the New Perspective has suggested that a reading of the “works of the Law” in Paul that is consistent with Second Temple Judaism limits those works to the ethnic boundary markers. These are the practices that separate Jews from Gentiles. Gentiles are not converting to Judaism, therefore they ought not be required to keep those boundary markers. There are a few battleground ideas and texts on which the New Perspective differs from the traditional view. 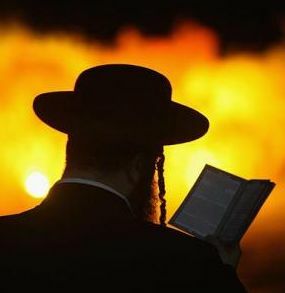 First and foremost is the nature of Judaism in the first century. 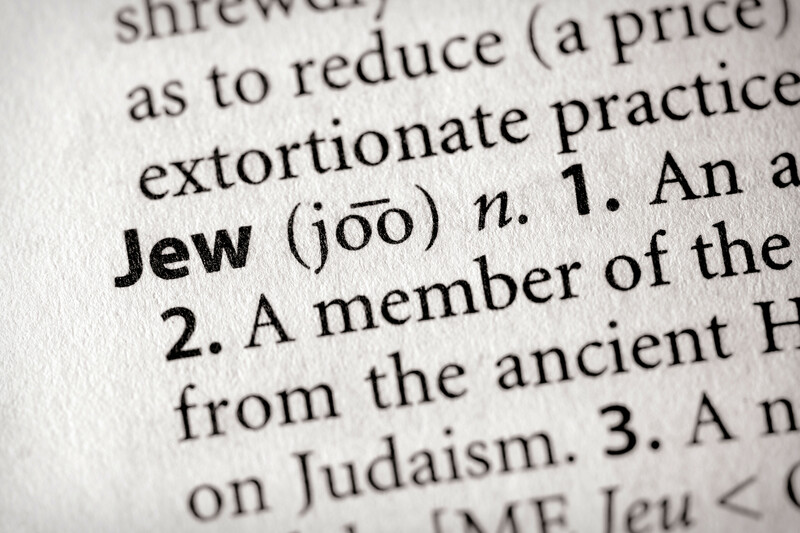 From the traditional perspective, Judaism was a legalistic religion which required works for salvation. This was often stated but rarely proven, especially in popular presentations. The Pharisees are described as hand-wringing legalists who sought to burden others with onerous laws which made little sense. Perhaps there is an undercurrent of anti-Semitism here, but more often than not this mischaracterization is simply the result of ignorance of what Jews actually believed in the Second Temple period. Sanders turned the assumption that Judaism was a legalistic religion on its head – Judaism was in fact a religion centered on God’s grace, as demonstrated in his election of Israel as his people and his gracious gift of the covenant. Of critical importance is the election of Israel as God’s people and the covenant He made with them. Philo states: “Yet out of the whole human race He chose as of special merit and judged worthy of pre-eminence over all, those who are in a true sense men, and called them to the service of Himself, the perennial fountain of things excellent” (Spec. Laws 1.303). Similar statements of Israel’s election are common in nearly all the literature of the second temple. Equally common are statements about the covenant God sought to initiate with the people he had chosen. Sanders cites Pseudo-Philo: “I will give my light to the world and illumine their dwelling places and establish my covenant with the sons of men and glorify my people above all the nations” (Bibl. Antiq. 11.1f, JBP, 264). Israel’s election is confirmed by God’s gift of the Law and his requirement of obedience to that law. 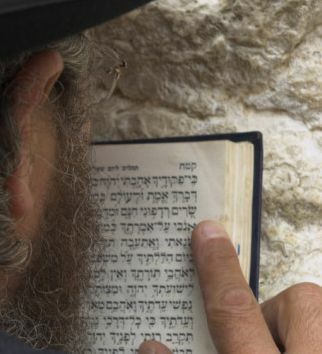 Everything we know about Judaism in the Second Temple Period is predicated on the fact that God gave the law and he required his people to obey. Because Israel is chosen and given a Law and the responsibility of obedience, she is liable for both rewards and punishment; to experience both God’s justice and mercy. God cannot let an evil-doer escape. He is all-knowing and punishment is certain (Antiq. 1.14; 3.321, 4.286). Perhaps the most controversial point in Sanders’ view of common Jewish theology is that Judaism was a religion of grace. As noted above, the Christians often describe Judaism as a works-salvation in contrast to Paul’s salvation by grace alone. Everything in Jewish religion seems to point to the grace of God in this life. Whatever one has, whatever one is, it is only by the grace of God. One did not do the various “works of righteousness” (circumcision, food traditions, but also shema, prayer, wearing tefillin, etc.) in order to receive grace; rather one did them in response to the grace already received. To summarize this point for Sanders: Election is what placed the Jews “into” the covenant; obedience is what “keeps them in.” There are a number of mechanisms which are used to deal with disobedience, all of which are expressions of God’s grace. There is nothing Israel did to merit this election. Israel is given every help possible by God’s grace to assist them in the “keeping in” element. But is this a wrong view of Second Temple Judaism? Perhaps Sanders has overstated his case in some respects. For example, a book like Fourth Ezra demands that the Law be kept perfectly and the Essenes certainly are an example of a group that demands rigorous attention to the demands of the Law. In the New Testament, Jesus does describe the Pharisees as legalists (Matt 23) and Paul is arguing against some form of legalism in Galatians. In addition, there is a certain attraction to legalism since it defines the steps one must take in order to be right with God. There were Gentiles who converted to Judaism and tried to keep the Law as perfectly as possible. That Paul must deal with Gentiles wanting to keep the Law in several letters ought to be evidence of the attraction of legalism. On the whole, I think Sanders is correct that Judaism in the first century was a religion of grace, but there was also a strong attraction to legalism among both Jews and Gentile converts to Judaism (and later, Christianity). A major cornerstone of the theology of the Hebrew Bible is the gracious loving-kindness of God, his hesed. Nowhere in the Hebrew Bible do we read of someone who claims to be burdened down by the impossibly heavy load the Law. Rather, keeping the law is the proper response to a gracious God. The big difference between Paul and Second Temple Judaism is his view of Gentiles keeping the Law. This series on the New Perspective on Paul has generated several conversations (online and in real life). 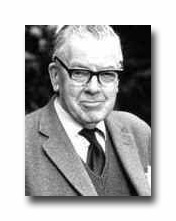 I was chatting about F. F. Bruce with a colleague today and he asked me if F. F. Bruce could be considered “New Perspective.” My initial thought was that Bruce did most of his work before the NPP was well-known, although I notice that he cited E. P. Sanders 23 times in his commentary on Galatians, Dunn appears a few times, but Bruce wrote on Galatians well before Dunn’s commentary was published in 1993. Commenting on Galatians 3:10, Bruce sees Paul’s conversion as a decisive break from legalistic Judaism: “Paul’s confrontation with the risen Christ on the Damascus road after his grounding in Judaism, and the new understanding of salvation-history which sprang from that confrontation, compelled him to see the legal path to salvation closed by a barrier (which he would not have refused to identify with the cross) which carried a notice reading: ‘No road this way.’” F. F. Bruce, The Epistle to the Galatians (NIGTC; Grand Rapids, Mich.: Eerdmans, 1982), 160. I would say that is solidly “Old Perspective”! F. F. Bruce was a careful exegete and he is certainly not importing his personal conversion experience into his reading of Paul. It is simply the case Paul saw his own Gospel as a major break from his previous way of life in the Judaism of the Second Temple Period. That is not to say that Paul rejected Judaism, however. In may very well be that he thought of himself as reforming Judaism with a “new understanding of salvation-history.” As I said in the previous post, Paul’s experience is unique in salvation history. The New Perspective on Paul: Did Paul Convert to Christianity? 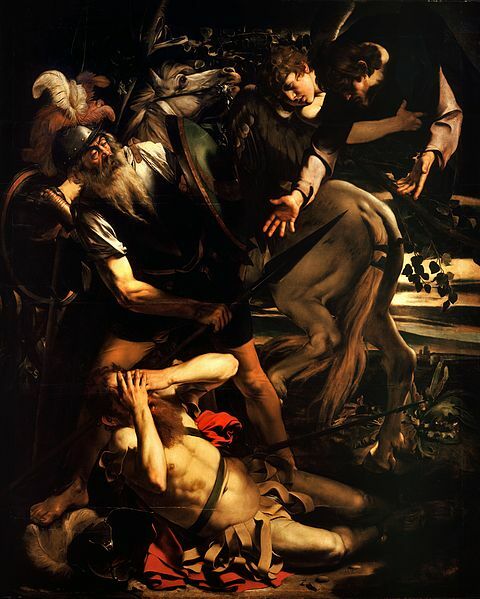 Critics of the traditional view of Paul’s theology often note that Paul’s experience is described in terms of Augustine’s conversion or Luther’s struggle against the Roman church. Both men found their experience parallel to Paul’s and meditated deeply on what God did in their lives to release them from the weight of their guilt. Another classic text that seems to describe a conversion experience is Romans 7:7-25. In this text Paul describes his struggle as the Wretched Man who tried to keep the Law but failed, and only found salvation in the freedom that comes through Jesus Christ. The traditional view reads this text as referring to Paul’s own spiritual and psychological conversion. If Romans 7:7-25 deals with Paul’s apparent struggle with sin prior to his conversion, then we do have a spiritual and psychological reversal in Paul’s conversion. Paul is described in the traditional view as a Pharisee that struggled with sin and the guilt of not being able to keep the Law. His conversion releases him from the weight of the guilt of his sin; he experiences justification by faith and converts from Judaism to Christianity. Dunn points out that Paul stayed “zealous,” but instead of zealous for the Law, he because zealous as the “light to the Gentiles” (“Paul’s Conversion,” 90). This view of Paul’s conversion is that he does not “found a new religion” but rather a new understanding of the Jewish Law. His gospel is a new interpretation of the Hebrew Bible and Judaism. Paul may not have changed parties within Judaism: he went from a Pharisee who did not believe Jesus was the messiah to a Pharisee who did believe Jesus was the messiah. The problem with this new view of Paul’s experience on the road to Damascus is that it does not do justice to the radicalness of Paul’s Gospel! To reject circumcision even for Gentile converts is not a minor re-interpretation of the Jewish Law. His Law-free gospel for the Gentiles was a radical change, and a change that was wholly unanticipated in the prophets. The reaction of the Jews in Acts is the key for grasping how radical Paul’s gospel was. When Paul announces that God has called the Gentiles to be saved without being circumcised, the Jews vigorously oppose Paul, attempt to have him arrested and (later in Acts) they attempt to kill him for what they see as a radically blasphemous revision of the basics of the Jewish faith. But it is also problematic to think that Paul is converting from Judaism to Christianity. Paul seems rather clear in Galatians that he was called by God to be the apostle to the Gentiles in a way that is quite distinct from the apostles in Jerusalem that were called by Jesus. He stresses his independence clearly in Galatians and in Ephesians 3 he is quite clear that he has a special commission as the apostle to the Gentiles. Paul never “joins the Jerusalem church” nor does he receive his commission from them (again, see Gal 2). He seems to be called by God to do something quite different – to be the apostle to the Gentiles. Despite the expansion of the apostolic witness to Hellenistic Jews and God-Fearers, the Twelve do not appear in Acts to do ministry outside of the house of Israel. Galatians 1-2 seems to be saying that there was a tacit agreement between Paul and Peter marking the “boundaries” of their ministerial territory. Paul will go to the Gentiles and Peter to the Jews. It is therefore probably best to see Paul’s Damascus Road experience as both a conversion and a call. I agree that Luther and others hear their own conversion in Paul’s Damascus Road experience. But to think of the categories “conversion” and “call” in modern Christian categories is a mistake; Paul’s experience in Acts 9 is quite unique in salvation history. Bibliography: There is a huge bibliography of essays and monographs on this issue; the critical articles include: J. D. G. Dunn, “‘A Light To the Gentiles’ or ‘The End of the Law’? The Significance of the Damascus Road Christophany for Paul” in Dunn, Paul, Jesus, and the Law, 89-107. See also Seyoon Kim, The Origin of Paul’s Gospel (Grand Rapids, Mich.: Eerdmans, 1982); After Kim was critiqued by J. D. G. Dunn and others, he responded in a number of articles that are collected in Paul and the New Perspective: Second Thoughts on the Origin of Paul’s Gospel (Grand Rapids, Mich.: Eerdmans, 2002). The New Perspective on Paul: What Was the Old Perspective? Before examining the challenge of the new Perspective on Paul, it is important to have some understanding of what the traditional on Paul view is. At the foundation of Sanders’ critique of the standard view of Paul is that Luther read Paul through the lens of his own struggle with sin and his battle with the Pelagian / semi-Pelagian Roman Catholic Church which claimed one could earn merit before God by preforming good deeds. Another factor is the vast wealth of material modern scholarship has available for study as compared to even the last century. A great deal of literary evidence from the Second Temple Period has been published in the last fifty that was unknown to the Reformers or anyone studying Paul prior to E. P. Sanders. The Dead Sea Scrolls are an obvious example, but the publication of Charlesworth’s two volumes on the Old Testament Apocrypha and Pseudepigrapha have allowed students of Paul to read Jewish texts that were popular when Paul wrote his letters. All of that literary evidence needs to be read and evaluated as potential background to Paul’s letters. With this in mind, I want to use Stephen Westerholm seven-point summary of what he calls the “Lutheran” Paul. He arrives at these points after examining the Pauline theology of Augustine, Luther, Calvin and Wesley. I summarize his points here and offer some commentary. Human nature was created good, but has become corrupted by sin and is unable to please the Creator. This entails the idea that all those who are in Adam are also in his sin. As Romans 5 clearly indicates, Adam’s sin is somehow imputed to his descendants so that all humans have a sinful nature which separates them from a holy God. Humans must therefore be “justified by divine grace” through faith, apart from works. This is the cornerstone of the Reformation: since humans do not merit salvation, they can only be saved by a sovereign act of a gracious God. This justification by faith leaves humans with nothing to boast before God. A text like Eph 2:8-9 shows that Paul’s view was that no person could stand before God as their judge and claim to have done anything to merit salvation, either before or after they were justified. Even though humans are justified by God’s grace, they are still expected to do good works. There is an unfortunate misunderstanding that some theologians in the reformed tradition think that after justification, a believer may sin all they want. It is clear from Paul’s letters that he expects believers to behave in a certain way, but does he ever threaten them with the loss of salvation? The Law was given to awaken the awareness of sin in humans. The role of the Jewish law is the burden of Galatians. Paul argues there that the believer is not required to keep the Law since it only functioned as a guide until God acted decisively in Jesus. Sin is still a reality in the life of the believer. Westerholm comments that there is a different in the way Wesley or Luther deal with the problem of sin, nevertheless they recognize that humans still sin even after they are justified before God. Divine grace may or may not be irresistible. Again, this varies between Luther / Calvin and Wesley. The very act of having faith may constitute a “work” which can be seen as a human contribution to salvation. The challenge of the New Perspective is to start with the text in the proper historical climate. Is it possible that this tight outline of systematic theology is not what Paul intended at all? Bibliography: Stephen Westerholm, Perspectives Old and New on Paul: The “Lutheran” Paul and his Critics (Grand Rapids, Mich.: Eerdmans, 2004), 88-97. In the fall I will be teaching Pauline Literature and Theology at the undergraduate level. In order to prepare for this semester, I re-read some texts that I have found valuable in the past, but also a few new books on Paul and his theology. Pauline studies have taken on new life in the last twenty years, primarily due to the rise of New Perspective on Paul. In two recent popular level books on Paul from Zondervan, the New Perspective is not far from the surface. In Four Views on the Apostle Paul (edited by Michael Bird, 2012), Douglas Campbell represents what he calls a “post-New Perspective” on Paul, although in that particular book he is the scholar who most resonates with this view of Paul and his theology. In Four Views on The Role of Words at the Final Judgment (edited by Alan Stanley, 2013), James Dunn represents a “New Perspective” view of works, but Thomas Schreiner must deal with that view in his presentation of the traditional reformed view. In fact, it is hard to imagine a work on Paul’s theology which does not address the so-called “New Perspective on Paul” (NPP). 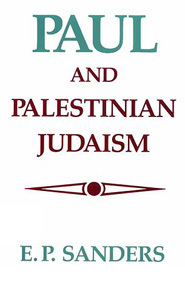 Since Ed Sanders published Paul and Palestinian Judaism in 1979, a landslide of books have been published developing and modifying his ideas. The 2010 meeting of the Evangelical Society was almost entirely devoted to a discussion of the New Perspective, especially as expressed in the writings of N. T. Wright. 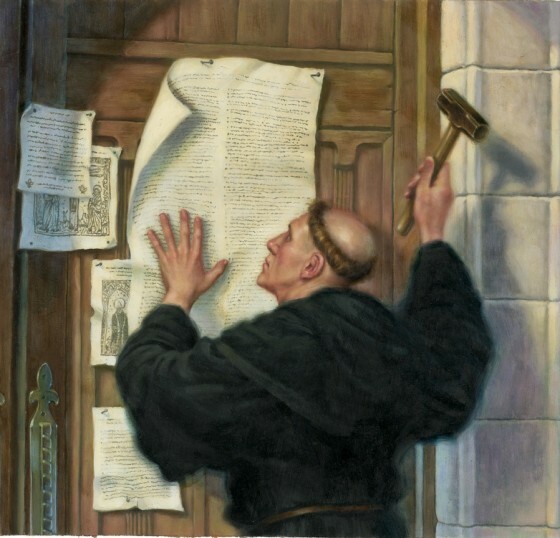 I heard papers decrying the New Perspective as an attack on the assured results of the Reformation (one paper concluded with a lengthy quite of the Westminster Confession, as if that somehow proved the point being argued!) 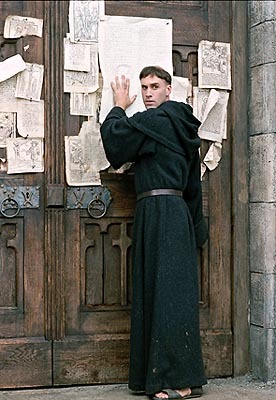 I have also heard papers from Wright Fan-Boys taking his ideas as if he has somehow become the Pope of Evangelicalism. Usually these sorts of scholarly arguments are confined to the Academy. Several factors have dragged the New Perspective out of the University or Seminary classroom and into the popular media. 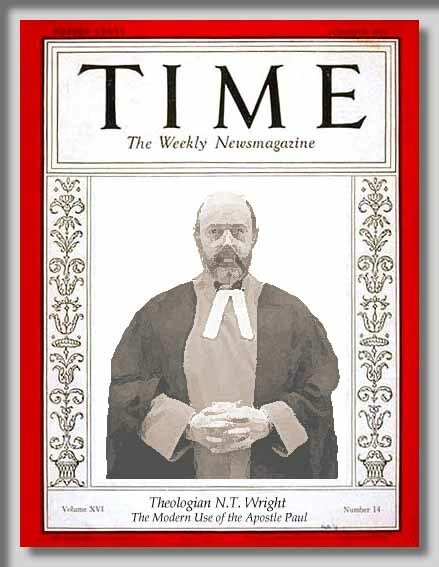 First, the growing popularity of N. T. Wright over the last ten years has brought these ideas to the public’s attention. Wright has attempted to communicate at the popular level both in print and in his many speaking engagements every year. Second, since Wright is perceived as a representative of the New Perspective, he has come under fire from advocates of the traditional view of Paul’s theology. This too has taken place in more popular media than most academic debates. John Piper wrote a popular book which sought to correct Wright, although he more or less defends the traditional view of justification by faith. Wright responded with a book intended for laymen, Justification. Third, in the last seven years the phenomenon of “the Blog” has propelled otherwise arcane theological debates into the public eye. Bloggers do not have the same level of accountability as a major publisher and are far more likely to describe Wright as an arch-heretic bent on destroying God-Ordained Reformation Churches. This sort of thing is picked up by pastors and teachers in local churches and trickles down to congregations. As a faculty member teaching in a conservative institution I am regularly asked what I think of Wright’s books. Rarely does the person asking the question know who James Dunn is, and they never have any idea who E. P. Sanders is nor do they have any real familiarity with the main issues in this debate. That is the purpose of revising this series on Reading Acts. The New Perspective is not a dangerous idea which will destroy the heart of Christianity, although it will force a reconsideration of some of the assumptions of the Protestant Reformation. This is not to say it will turn Protestants into Catholics. As Wright frequently says, all he is trying to do is to continue the reformation by being faithful to Scripture and accurately describing Paul’s theology. Of course, that is what advocates of the traditional formulation are doing too. I find the reactions to Sanders, Dunn and Wright somewhat bewildering, mostly because I do not work within a context of a Protestant Reformed denomination. I have always resonated with a more Calvinist view of salvation, but I am not bound by a commitment to a confession nor do I have a strong affinity for Luther and the reformation, although that is probably because my tradition moved beyond the reformation in Eschatology and Ecclesiology. I agree with Wright that there is nothing wrong with “reforming the Reformation,” Calvin and Luther would want the discussion of Pauline theology to continue and make use of all of the evidence available today. Because this is an important issue, I am going to devote five or six postings to the New Perspective in anticipation of my Pauline Theology and Literature class I will be teaching this fall. Here is my plan for this series, although I might add one or two more topics before I am finished. Feel free to suggest a potential topic for the series. What was the Old Perspective? Was Paul Converted to Christianity? I will admit that this is a brief overview. Each of the topics ought to be a chapter of a book (they probably will be, eventually!) I am confessing up front that this series is woefully inadequate for a full understanding of the topics. For this reason I will provide a list of other resources for each post “for further study.” My goal is to provide a brief orientation to the New Perspective on Paul so that a student may read other works on the New Perspective with some context. Watson, Francis. Gospel Writing: A Canonical Perspective. Grand Rapids, Mich.: Eerdmans, 2013. 665 pages, pb. $48 Link to Eerdmans. When I began reading Gospel Writing, I looked over the chapter titles and assumed that the last four chapters would be my least favorite of the book. I assumed that this would be a review of the commonly known history of the development of the fourfold Canon. Certainly that history is presented, but only in the service of the major thesis of the book that the non-canonical Gospels ought to be included in the discussion of Gospel formation. As outlined in my previous post, Watson wants to include non-canonical books like Gospel of Thomas and Gospel of Peter as important witnesses of how the Gospel writers read the traditions they received and interpreted them in a different context. I thoroughly enjoyed this section of the book, although it strikes me as rather far removed from the central section of the book. It could stand on its own as a brief monograph on the origins of the fourfold Gospel and the Canon. Watson observes that one can approach the Gospels with the assumption that the many non-canonical Gospels post-date the four canonical Gospels. GThomas can be excluded from any account of how the Gospels were written because that book is written after the “completion of the canon” and they are therefore out-of-bounds. On the other hand, some scholars have pushed the date of the composition of GThomas earlier and argue that the book developed independently of the canonical Gospels. Such Gospels ought to be given some sort of priority in the account of Gospel writing. Both of these extremes are rejected simply because the dividing line between canon and non-canonical Gospels is arbitrary and value-laden. To call a particular text “non-canonical” or “apocryphal” (or worse, unorthodox or heretical) is to presume something about that Gospel before it is read. It is entirely possible, Watson observes, that authentic and authoritative words of Jesus are to be found in a Gospel which later was not recognized as canonical. In order to support this thesis, Watson draws on references to gospels in Clement of Alexandria. While Clement knew of a fourfold Gospel that “was handed down to us,” he also referred to the Gospel of the Egyptians. In dialogue with Julius Cassianus, Clement interacts with this non-canonical Gospel, but there is no indication that Clement did not accept at least the cited portion of the gospel as scripture. Watson points out that Clement disagrees with the interpretation of the Gospel of the Egyptians, rather than the use of the book. In fact, Clement is able to correct Cassianus’s interpretation by quoting more of the context of the saying (p. 420-1). He does not state that the cited text is apocryphal or non-authoritative. For Watson, Clement lives at a time when the fourfold canon is beginning to develop the authoritative standing it will have officially by the time of Eusebius. In fact, Eusebius’s discussion of canon relies heavily on Clement, although his references to other gospels are ‘suppressed” (p. 438). By the time Eusebius writes, the boundary between canon and non-canon is clear, and some gospels are “outside” of that boundary. That is not necessarily “repressive,” although it might have been understood that way by some Christians who cherished the Gospel of Peter, for example (p. 452). If Eusebius stands on one end of the creation of a fourfold canon, Irenaeus represents its beginning (p. 454). This is often recognized, and because the classic statement on the four Gospels appears in Irenaeus’ work on heresy it is often assumed that the motivation for a canonical list of Gospels is the response to heretics. Usually this canon is a response to Marcion, mostly since Marcion offered his own “canon.” But Marcion still used the traditional texts, even if he narrowed the canon. But like many other things in this book, Watson challenges this consensus view. Irenaeus never states that the heretics are wrong because the use non-canonical gospels. In fact, Watson shows that the Gnostic Valentinius appealed to the four Gospels rather than to any Gnostic gospels. What motivated Irenaeus is a potential division between the Eastern Church (Ephesus) and the Western Church (Rome). Mark and Luke reflect the preaching of Peter and Paul, who are assumed to represent the West, while John and Matthew represent Ephesus and Antioch to the east. 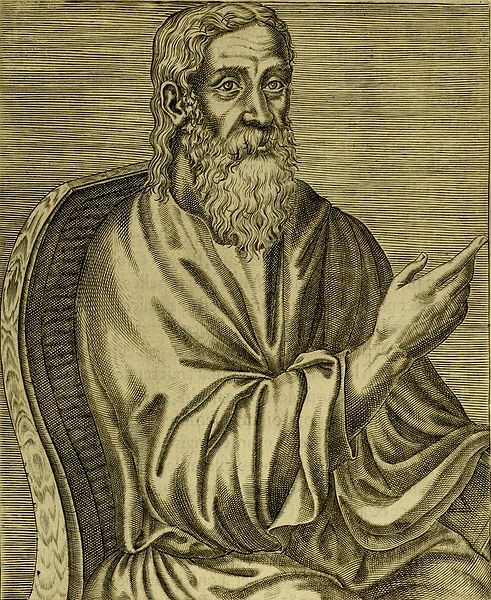 By advocating a fourfold Gospel, Irenaeus achieves “an ecumenical consensus by securing Western recognition of the gospel from Asia” (p. 502). Watson includes a chapter on Origen, one of the first commentary writers. “Commentary presupposes normativization” (p. 528), so Origen’s commentaries on Scripture are a window into what was considered canonical in the second century. Returning to themes he began early in his book, Watson describes how origin dealt with the differences between the four Gospels. Origen approached the fourfold Gospel as a unit and represents a “reinterpretation of the complex textual object still known as ‘the gospel, though consisting of four gospels” (p. 552). Conclusion. Watson’s Gospel Writing is (for me at least) one of the more anticipated books of 2013. While this is not the last word on the Synoptic Problem, Watson has produced a major attack on the consensus view of Q. While others have done similar work, Gospel Writing is one of the most comprehensive and cohesive argument against the Q theory to date. Watson offers a “process” that explains how (and why) the Gospel writers used and reinterpreted received tradition. Perhaps more troublesome for more conservative scholars is his insistence that the non-canonical Gospels be included in the discussion. But Watson never argues that these Gospels be authoritative for doctrine or practice, only that they illustrate the process of Gospel Writing in the first century. In a book of this size there are many smaller issues that are open to question or clarification. In some place I think that Watson goes a bit beyond the evidence. Clement’s use of the Gospel of the Egyptians, for example, does not imply that he cherished the book. He may be quoting an opponent’s favorite text and pointing out that he has interpreted it wrong. That the fourfold Gospel was not a response to heretics may be too strongly stated since Clement does state that an opponent used a non-canonical gospel. Nevertheless, Gospel Writing is a valuable contribution to the ongoing discussion of the Synoptic Problem. Eerdmans has produced a few “social media” extras for this book. Here is an interview with Watson discussing his canonical approach to the Gospels. In addition, there is a blog for the book with photographs to supplement several footnotes in chapter 11. This blog has not been updated since the book was published.